In my last post, one of the things I mentioned was that I built a TNC-Pi shield for my Raspberry Pi, that allows be take part in packet radio. One of the things I didn’t like so much was that I had nothing to put it in to protect the circuits from dust or a misplaced screwdriver shorting out the board. 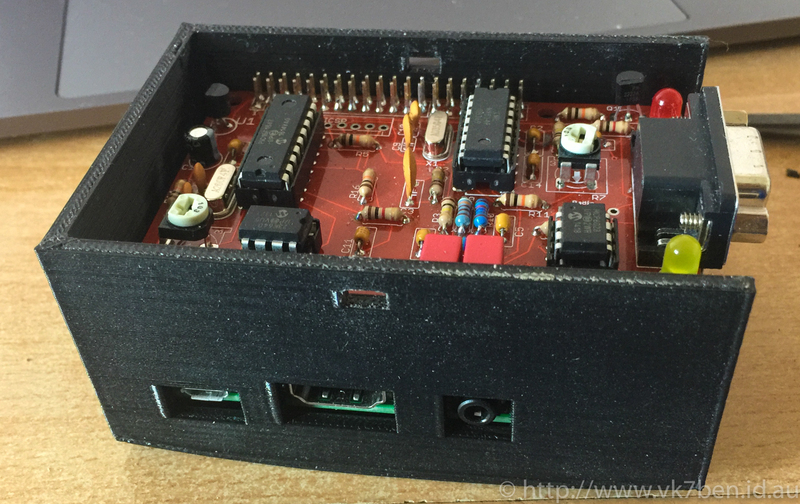 I was therefore pretty happy to receive as a birthday gift a 3D Printed enclosure designed to hold the Raspberry Pi and TNC from Scott VK7LXX. I’d pointed out the design about a week earlier when looking around, but lacked access to a 3D printer and spare time needed to print. As you can see in the image to the left and above, it makes quite a comfortable fit. 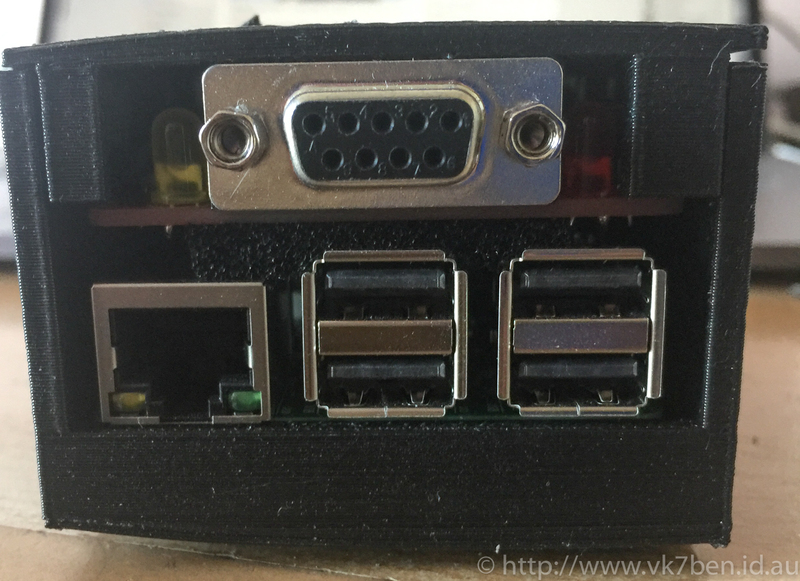 I used a bit of foam to sandwich between the Pi-TNC and the USB ports of the Pi just to prevent any contact of soldered joints with the metal casing around the USB connectors. Scott tells me this printing was done at a “coarse” level, to speed up the print process and took around 3 hours to print. Those who are eagle eyed will notice that cases bottom is slightly rounded due to an imperfection in the print process – I’m not worried by this because the objective is to protect whats inside, not necessarily be pretty. 3-6 months ago, I was mocking the idea of needing a 3D printer, but I’m not laughing now. I can definitely see myself using a 3D printer to make custom parts in the shack!